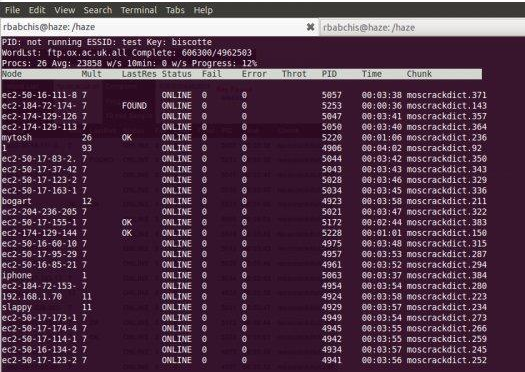 Moscrack Multifarious On-demand Systems Cracker is a Perl application designed to facilitate cracking WPA keys in parallel on a group of computers. This is accomplished by use of either Mosix clustering software, SSH or RSH access to a number of nodes. With Moscrack's new plugin framework, hash cracking has become possible. SHA256/512, DES, MD5 and Blowfish Unix password hashes can all be processed with the Dehasher Moscrack plugin. Do you now how to run Perl script first? If yes, then there is your answer. Copy Paste is not the answer for every question. Need to learn at least basics.